The PADI Freediver program continues to go from strength to strength with the recent release of new languages via PADI eLearning. PADI Freediver eLearning (Product Code: 70770-1) is now available in the following languages; English, Arabic, Dutch, French, German, Italian, Japanese, Korean, Portuguese, Simplified Chinese, Spanish and Traditional Chinese. After purchasing and sending this course for your students, PADI Freediver eLearning will become available for them to download through the PADI Library App. PADI Freediver eLearning will contain all three course levels; PADI Freediver, PADI Advanced Freediver and PADI Master Freediver. In addition to this, students can now also select their preferred language. Students learn by reading and viewing content that is supported by interactive imagery, graphics and videos. They can then complete the knowledge reviews and final exam, either offline or online. If internet connection is limited, the only time they need to be online is during the initial download as well as the uploading of their assessment scores from the above sections, once completed. As PADI Freediver eLearning is a required material for all levels of PADI Freediver courses, Instructors must ensure that students have their own personal set of current PADI material (eLearning). Students must have this material available for study before the course, use throughout the course and reference afterwards, unless it is unavailable in a language understood by the student. If the course is not available in language that your student understands, please contact your Regional Training Consultant to discuss options. With additional languages now available, the above requirements also apply to PADI Advanced Freediver and Master Freediver students. For example, if a student previously completed a PADI Freediver course without access to PADI Freediver eLearning due to language limitations and they would like to continue further courses with you, they will now need access to PADI Freediver eLearning, if available in a language they understand. We hope these new languages help you with the PADI Freediver program in 2019. Please contact your Regional Training Consultant for any training and material enquiries. In the effort to provide PADI Divers an elegant customer journey from point of purchase to product completion, PADI is on a digital product mission. PADI has always been a world-class leader in diver education and has always been committed to creating the best diver training materials in the world and delivering them to the global network of PADI Dive Centers, Resorts and Professionals. PADI Members have always offered the world’s most sought-after diver certifications and have always enabled people to explore our water planet confidently and competently. So what is new? This has just become significantly easier. PADI is rolling out some major updates to the (newly named) eLearning Environment. Today, PADI Members send a code from the online processing centre to their students to allow those users to access eLearning products. Users then get an email with a link to access the product and an option to choose communication emails in a language of their choice. None of these steps have changed. But now, when users click the link in that email, they are then taken to a freshly designed page where they create accounts to access their digital products. (If they already have an account, they simply use their login credentials to access their new materials.) The speed and efficiency of the login and sign up processes has been significantly improved too. The new environment is clean and uncluttered. There’s a menu bar across the top, which makes it nice and simple for users to find their way. It’s easy to access PADI.com (by clicking either the logo or the PADI.com item in the menu bar). It’s easy to change languages. There’s a help option where users can find the number to call (or click a link to send an email directly to) the PADI office that supports them. There’s also the ever-popular forgotten password option where users can enter their account email and get a link to reset their passwords. Information icons provide additional information should users need it. It’s a clean simple interface and it’s difficult to get confused. Once users sign in, they have the option to confirm or change their address. Now the icon in the top left changes from PADI to PADI eLearning®, confirming users are in the eLearning Environment where all their courses reside. (A My Courses subhead confirms this). A simple, clean, panel identifies each course. Users can either click on the panel image or the View Courses box to access everything in their certification paks. All this content is clearly listed and seamlessly accessible, with user-friendly links and, one of the big improvements is that there is now only one single login to access the eLearning environment. In their eLearning materials, users can see all the components in their certification paks: the tablet product, the low-resolution manual, the eRDPML and the eTraining Dive Log complete with a link straight to ScubaEarth where that log lives (instead of having to login yet again for ScubaEarth). Obviously, the components vary with the course. The bottom line is that it’s a much cleaner, more organised, user environment. The menu bar follows users wherever they go, so they always have those options. Things just got a lot easier for eLearners. There’s a lot more in store, expect other features to roll out regularly. Android tablet and phone operating system Nougat and Oreo. Current version and two previous versions. Desktop Web View not supported on tablets or phones. The Open Water Diver Digital Certification Pak – Offline (English), product #60460-1, has been enhanced to accommodate users with limited internet connectivity. This independent study pak comes with two download options: 1) the PADI Open Water Diver Touch™, a single large file with integrated videos, and 2) a digital PADI Open Water Diver Manual, which has embedded quizzes and exams in addition to the Knowledge Reviews that can be stored and uploaded whenever the user connects to the internet. Student divers continue to have access to digital versions of the Recreational Dive Planner (RDP) table and eRDPML™. The PADI Open Water Diver Video is also now available separately from the high resolution Touch version, and can be downloaded in six separate low-resolution files (including the Introduction and five sections). Student divers have the option to download either version of the Digital Certification Pak – Offline training materials based on their connectivity and device storage capacity. Because the file size of the separate videos and manual is smaller, the files download quickly even with a slow internet connection. In addition, users can download the files individually or all at once, offering even more flexibility when accessing training materials. Q: What are the main differences between the two versions of this product? A: The Open Water Diver Touch, which contains integrated high-resolution videos, must be downloaded as one file and this is best achieved with a fast internet connection. The smaller, separate-file option is comprised of the Open Water Diver Manual file and the six compressed Open Water Diver Video files. Student divers may download one video at a time or all six at once (internet bandwidth/time allowing). Q: How does a student diver purchase this product? Q: Are there instructions explaining how to access the manual and low-resolution videos? A: Yes. The second confirmation email sent to student divers, which includes instructions on accessing the product, also includes information regarding the two options. The Start Here folio provides simple step-by-step instructions on how to begin. In addition, at the beginning of the digital manual there is also information regarding the option of streaming or downloading video files. Q: Can a student start one version of this product (high- or low-resolution version) and switch between the versions without losing any work? A: Yes, but once a version is selected, it’s recommended the student remain with the initial choice throughout training. However, if a student does switch, the Knowledge Reviews, Quizzes and Exam scores will carry over to the eRecord as long as the student completed and submitted the results. Q: How soon will this low-resolution option be available in other languages? A: Expect to see rollout of translated materials in several languages in third quarter 2017. For renewed PADI Enriched Air Speciality Instructors there has never been a better opportunity to introduce student divers and certified divers to the benefits of Enriched Air Diving. Open Water Diver students are not required to complete any additional Enriched Air Dives for certification, they may now use enriched air on Open Water Dive 4, after Enriched Air Diver theory, simulation and practical application requirements are met. You can now integrate knowledge development, predive simulation and practical application exercises any time during the course. For more information about the changes, read the latest Training Bulletin (redirects after login). 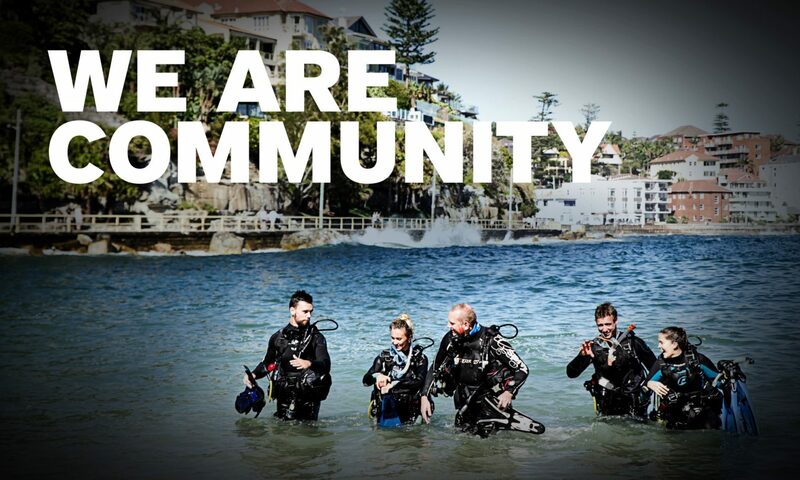 Contact your PADI Regional Training Consultant or training-sales@padi.com.au for information and pricing to purchase the PADI Enriched Air Online (eLearning). (Available in English and Japanese only). Following the recent revision to the PADI Advanced Open Water Diver Course and the article on implementing the Updated PADI Advanced Open Water Diver Course you may be interested in the following quick summary of the changes to the product codes of the course material. 60303/60303SP & P60303SP (Standard Advanced Open Water Diver Certification Paks) will have the same codes but the manuals will be the new versions. The revised AOW answer keys are now available & posted to the PADI Pros` Site under Training Essentials/Curriculum/Revised AOW Course Information Page and under Training Essentials/Curriculum/Exams and Assessments/AID. Only English AOWD materials are available at this stage, with other language translations to follow in the second quarter 2017. To order, contact your PADI Regional Training Consultant or training-sales@padi.com.au for information and pricing. For all product codes and pricing, the current 2017 price lists can be viewed and downloaded from the home page of the PADI Pros’ Site. Please ensure that you have the correct product numbers when completing and sending in your order forms – it helps us help you! It’s through the dedication of PADI Professionals like you, that has made PADI the trusted authority in diving for the last five decades. Commemorate this milestone with a black, 50th Anniversary PADI certification card, available exclusively for PADI Professionals. Log on the the PADI Pros’ Site. Click on the “My Account” tab and “Replace My Membership Cards”. Follow the directions to complete your order online. Thank you for 50 years of dive training excellence and best wishes for ongoing success as we embark together on a journey into the next half century. *Available through 2016, while supplies last. If you have a student who’s having trouble receiving the registration email from PADI for their eLearning, Touch, etc. below is an alternate way for them to access their digital product. Email your customer the link below along with their access code from your Online Processing Center. Ask the student to open this link using Firefox or Chrome (as opposed to Safari or a mobile browser). Direct the student to complete the Sign Up for a PADI Account form on the right side of the screen. If applicable: remind the student that each diver needs to use a separate email address. Two people cannot share an email. Note: If your student already has a PADI Account, direct the student to log in using their email address and password. If the digital product purchased is available in multiple languages, the student will be prompted to choose a language. If the product is only available in English, your student will not see this screen. Important Note: Once the language has been selected it cannot be changed, please ensure the correct language preference is selected. On this screen, your student will type in the address for their student record. If “send card to student” is selected during the certification process, this is the address where their certification card will be sent. The final step in registration is for the student to enter the access code you’ve given them. From here, the student will able to access their online training / Touch product via the PADI app and PADI Library app. This screen shows any digital products that have already been registered. The student can click the VIEW button to get more information on how to view or access their digital products. Since the launch of PADI’s range of Digital Certification Paks, Students have the opportunity to log their training dives online via ScubaEarth. No more signing wet logbooks! Just as a paper logbook requires an Instructor’s signature, training dives that are logged online must be approved by the Instructor who conducted the dive. Use your digital signature to approve all the required dives to certify your Students. Please note that the eTraining Log is an optional way to verify the completion of training dives. Divers and Instructors may continue to log dives in a paper logbook if they choose. When logging a training dive, the Student must include their Instructor’s PADI Pro number. After the dive is submitted for approval, an email is generated to the Instructor referenced. As the Instructor, you will then receive an email asking you to easily approve the dive. Click through to the PADI Pros Site and navigate to the Online Processing Centre, where you will be able to select the eTraining Log. For more information and to order – contact the PADI Sales Department (tel + 61 2 9454 2888). Don`t forget you can order anytime from the PADI Online Shopping Cart – log onto the PADI Pros’ Site and click Shop Online. “Through these moments and images it is my hope that people may discover or rediscover our deep connection with the ocean.” says Valencia, a PADI Master Scuba Diver Trainer. “This connection is necessary in compelling those to preserve this important environment for generations to come.” Valencia shares the stories behind these photos. Humpback whales arrive each winter in the waters of Baja and southern Mexico. At the isolated dive site of Roca Partida, an oceanic pinnacle of the Socorro Islands, humpback whale interactions have increased over the past few years. At the beginning of one of our dives, a female humpback dived down to us and rested in front of the group. She hovered there, motionless, except for her giant pectoral fins that sculled back and forth. Her giant eye watched us as we found a respectful distance. Observing a living being as large as a submarine underwater is an experience difficult to express in words. She stayed with us for about 25 minutes and then floated to the surface tail first, seemingly playing. She took a few breaths and dived back down to the group. The divers came up beaming – it was the most amazing experience of their lives. Cabo Pulmo is a National Marine Park located 112 kilometres/70 miles northeast of Cabo San Lucas, Mexico. Cabo Pulmo has become a source of pride for this small community, and all of Mexico. It wasn’t long ago that the community of Cabo Pulmo was a subsistence fishing village; the families had been fishing the area for generations. A few elders in the community began to notice fewer catches and smaller fish than in the past. There was a movement in the community to preserve the area, and in 1994 Cabo Pulmo became a national marine park. Now, the community works to conserve the area and the marine life that lives there. The community shares their special place with divers and other visitors from all over the world. Giant Pacific mantas are graceful in every turn. It’s no wonder divers fly all over the world to see these gentle giants. However, mantas are listed as “Vulnerable” by the International Union for Conservation of Nature (IUCN) Red List of Threatened Species. In certain parts of the world these mantas are becoming increasingly rare as they face persistent fishing pressure. The Blue Water Series by David Valencia limited-edition replacement cards will be available on 1 July 2015 for PADI Professionals and student divers through the PADI Online Processing Center on the PADI Pros’ Site. To see more of David Valencia’s photography, visit david-valencia.com. #1 – It’s the way divers learn today. These days, many customers are permanently attached to their digital devices: mobile phones, tablets and laptops. By offering PADI’s Digital Products, you’ll be able to offer these students a fully interactive and highly engaging way of learning that will live up to their modern day expectations of learning in the fast paced digital world. The Benefit to You: Engaged customers will enjoy their experience and be more likely to recommend your business! #2 – You’ll have the flexibility to order on-demand. PADI Digital Products can be purchased through the PADI Online Shopping Cart, (available via the PADI Pros’ Site), so you’ll be able to enjoy 24/7 access 365 days a year. Being as the products will appear in your PADI Online Processing Center account almost instantly you’ll be ready to register your next student without interruption – anytime of the day or night. This means you can order products to suit your student’s demands. #3 – No shipping means less costs. Due to PADI Digital Products being digital, it means there’s no paper involved – the products are delivered to you electronically via the Online Shopping Cart/Sales Department and PADI Online Processing Center and from there, delivered to your student via the PADI Library App. The Benefit to You: No physical product means no need to ship products, which reduces overheads and helps keep your costs to a minimum. #4 – Staff and students will benefit from enriched teaching opportunities. With interactive content, quizzes, videos and intuitive gesture-based navigation, PADI Digital Products offer an enriched learning experience. Excited students are usually waiting for knowledge development to finish so they can get to the water, but with this engaging way of learning, they’ll be immersed in the theory and potentially tricky topics will be transformed into a fun experience for everyone. The Benefit to You: Not only does it lead to more effective teaching schedules but students will want to keep on learning – and diving – with you! #5 – It’s kinder to the environment. With the ever-growing impact of conservation charities such as Project AWARE, and with divers’ being encouraged from all sides to protect and preserve the natural environment, it makes sense for Dive Centers to conduct themselves in line with the greener values of the diving community. By using PADI Digital Products, you’ll be using less paper, and using less paper will reduce physical waste as well as help to save the world’s rainforests. The Benefit to You: You and your customers will appreciate – and feel good about – being able to teach and learn in a way which reduces the impact on the environment. Are You Now Ready to Go Digital? Make sure you’re familiar with what’s available by reading the PADI Digital Product Suite brochure or contact your PADI Sales Department – (tel + 61 2 9454 2888) for more information and to order. Don`t forget you can order anytime from the PADI Online Shopping Cart – log onto the PADI Pros’ Site and click Shop Online.